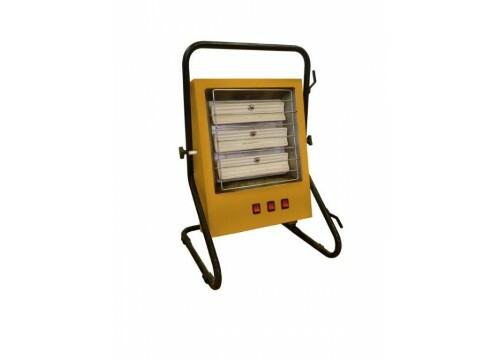 Light portable and safe with independently controlled elements giving you complete control over the amount of heat you require. Gentle radiant heat is generated via ceramic elements. Robust unit with heavy-duty casing, guard and frame. Carrying handle for easy manoeuvrability. On and off switch conveniently positioned at front of the machine. Fast economical and efficient ceramic spot heating.